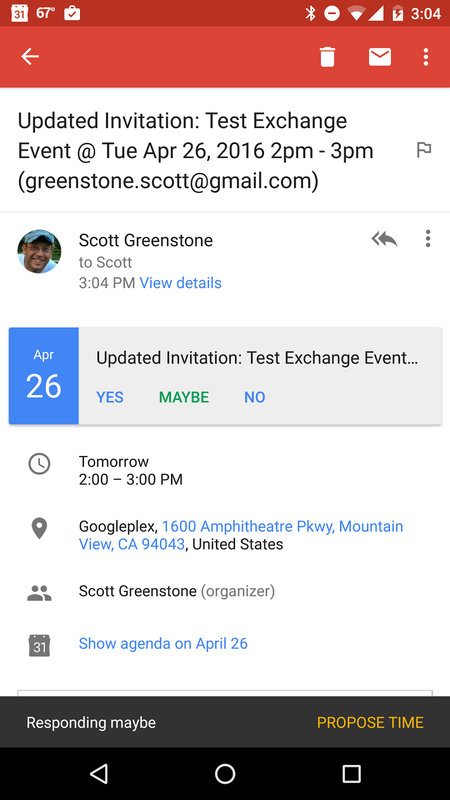 A new version of the Android Gmail app began rolling out, and with it came a few neat features. Among them is the ability to propose a new meeting time for exchange accounts. When you receive an invite, if you select Maybe or No, a new screen will give users an option to propose a new time to the owner of the event. 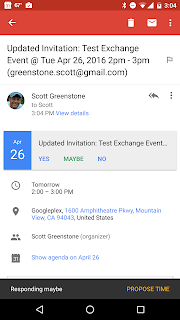 This will utilize Google Calendar's Find a Time feature to provide suggested new times for the event. Pretty useful addition to the mobile experience.